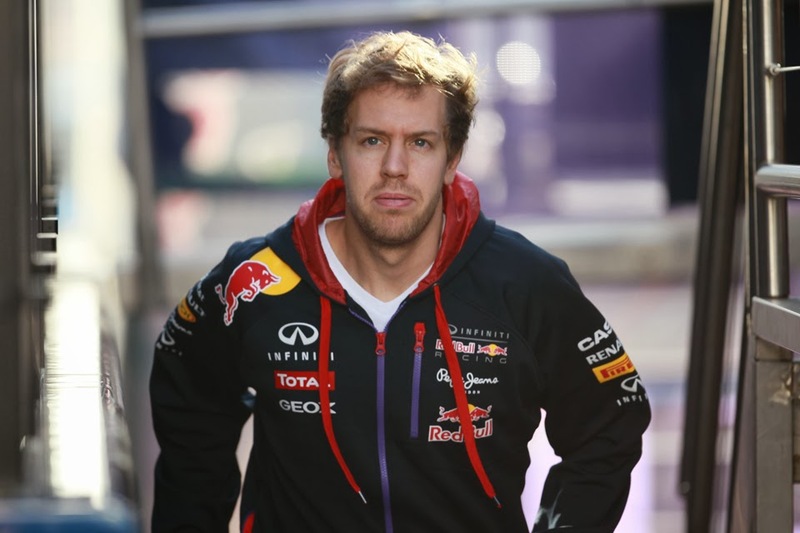 Talking about F1: The F1 blog: F1 2014 Season Preview: Red Bull - The party's over? 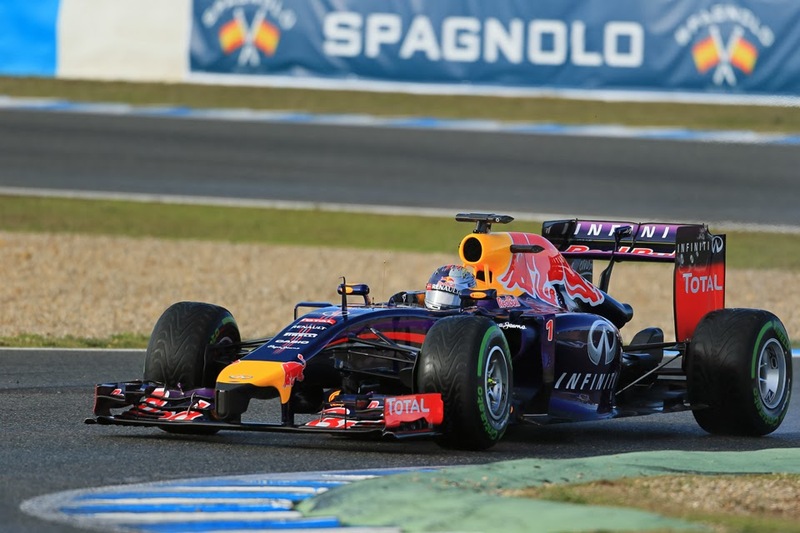 F1 2014 Season Preview: Red Bull - The party's over? Time was that Red Bull was viewed - nay derided - as F1's party team. Even today four world championship doubles later the moniker remains apt to an extent, given the squad's tendency to act generally as well as to celebrate triumph with much greater abandon and expression than is the case for their rivals. But is it so that as we stand before the 2014 season start that, finally after four years of living it up to the most raucous degree, the party's over? The bar's shut? Major sets of rule changes - and we have just had about the most major of the sport's modern times - always carry more risk for whoever's on top by definition, given their tendency to repatriate everyone to base camp; to render irrelevant previous advantages. History is littered with examples of such occurrences turning cheetahs into slugs at a stroke, sometimes irrecoverably. So the risks were there. But even with these there were specifics that set perilous traps before the Bulls. The tilting of the formula more towards engines and away relatively from aerodynamics, for a team for which aero usually was the trump card, was one. That Red Bull, unlike its two closest rivals in the 2013 championship table, does not manufacturer its units under the same umbrella - and either down the corridor or down the road - was another; instead they're made several hundred miles away and over the English Channel in Viry-Chatillon. Add to this that even during the team's dominance it never appeared entirely at one with energy recovery systems either, which now are a bigger factor. Yet even Cassandra would have struggled to prophesy what came to be when the RB10 first set out on track on testing. Essentially in Jerez in test one the thing hardly appeared out of the garage, and when it did circulate it always was well off the pace. It stuttering to a smoky halt was about as commonplace. Even now a few weeks on witnessing the champion team struggle to this extent seems rather the product of a deranged imagination. Part of the problem is with the new Renault power unit, evidenced by all of its customers being behind the curve to varying degrees - the latest chat being it's down to software rather than hardware. It didn't help either that, admitted by Renault's Rob White, the company 'created some moving targets' in its development of the power units, which set all teams back in their preparations (Red Bull boss Christian Horner's had some rueful words to say on the matter). But there is equally strong evidence that even among the Renault-powered runners Red Bull has created a few problems of its own. These appear attributable in large part to Adrian Newey's tendency to package his machines tighter than anyone else. Usually this is a good thing, but it's possible that this year it's all been just too swingeing for the new French power unit and its requirements in terms of getting nice refreshing air through it. Things remained not much different after test two: over the two tests the longest stint by a Bull was but 12 laps in length, and the car had mustered a mere 17 laps a day on average. The word was that the RB10 could not be pushed for any extended period of time without getting terminally hot under the collar. Edd Straw of Autosport opined amongst it all that if round one was taking place there and then the Milton Keynes cars would qualify nowhere and would do well to cover a third of the race's distance without conking out. Even now, and after a more encouraging start to test three, both team and engine manufacturer remain well behind where they would like to be both in terms of mileage and in lighting up the timing screens, while false dawns have been fairly frequent too, such as in day one of the third test wherein Daniel Ricciardo completed 32 laps in the morning including setting Red Bull's most encouraging lap time of pre-season, but as soon as some tentatively ventured that this was point of the fightback commencing the car hardly appeared in the afternoon beset as it was with yet more cooling maladies. Yet given all the whirlwind that has been swirling around Red Bull the most important question remains unanswered, indeed almost entirely unexplored. One should not lose sight of the possibility - perhaps probability - that once the reliability matters are sorted the RB10 will be quick. Indeed, Red Bull producing a car without fundamental pace when everything's working at once seems scarcely credible, while one other (albeit further down the grid) Renault-supplied team commented even at the height (or depth) of the French company's struggles that once the power unit's all singing in unison it is pretty much there on performance. Red Bull and Renault too are both too good not to sort this mess out eventually. The key question is when they do it: this will likely frame their season. And the trend since Jerez, although haphazard, has undeniably been upwards: indeed Ricciardo's 20-lap stint in day two of the second Bahrain test was not only long by the team's pre-season standards the lap times set therein also turned a few heads. And for the first time too since the team got good in 2009 we'll get to see just how Red Bull responds after being backed into a corner; given how it has responded to all previous challenges the likelihood is that it will do so formidably. So far too all in the team outwardly are giving no impression of panic. The party's over? Even after all of the woes of testing it remains way too early to conclude so. There remains a distinct possibility that there's still some life in this particular bash yet. There are still those who maintain that Sebastian Vettel isn't all that. For my part, I'm not sure exactly what it is that such people watch on Sunday afternoons. These days there is very little outward evidence of chinks in his armour, as well as that we in recent times have been offered considerable and repeated evidence that Seb is indeed all that. More than any other F1 driver right now, indeed possibly more than any other in the sport's history, Vettel is one moulded in the image of his team. Both he and Red Bull rose from unlikely beginnings (Seb's record in junior formulae was modest), both passed through a phase of being quick but rather wasteful - perhaps error-prone and easily got at - but succeeded in gaining strength from the knocks and emerging as formidable and multi-faceted competitors, bereft of obvious vulnerabilities. Both proceed with a joie de vivre as well as with the confidence that habitual success brings. As for that habitual success, both driver and team have claimed the last four world titles as their own. Both however suffer the same flipside of sorts, which may go some way to explaining the trenchant views that remain as outlined in the opening paragraph: neither Seb nor his team have ever shaken entirely the image of an arriviste, and related to this many resent their dominance, insist on viewing it as an aberration or worse undeserved. Seb these days is a driver with everything: stunning pace that he can summon at will particularly for a single lap; crisp assurance in the overtake; perhaps unrivalled brain power; a holistic approach to his job and a mental rigidity that pressure and attempts to perturb him just seem to bounce off. And last year's efforts topped the lot, with Vettel scarcely making a mistake and almost never failing to maximise his opportunities. It doesn't seem too outrageous to suggest that Seb never threw a single point away in 2013. Such however have Red Bull's testing struggles been Vettel this year will need these attributes more than ever. Yet, in the most perverse sense, Vettel's showing his wares in adversity perhaps is what is required to convert the remaining obdurate stragglers into admirers. And just as is the case for his team, the smart money is on Vettel responding to the challenge that awaits brilliantly. If 2014 is indeed to be the year that Red Bull fails the team absolutely cannot lay the blame before its lead driver. 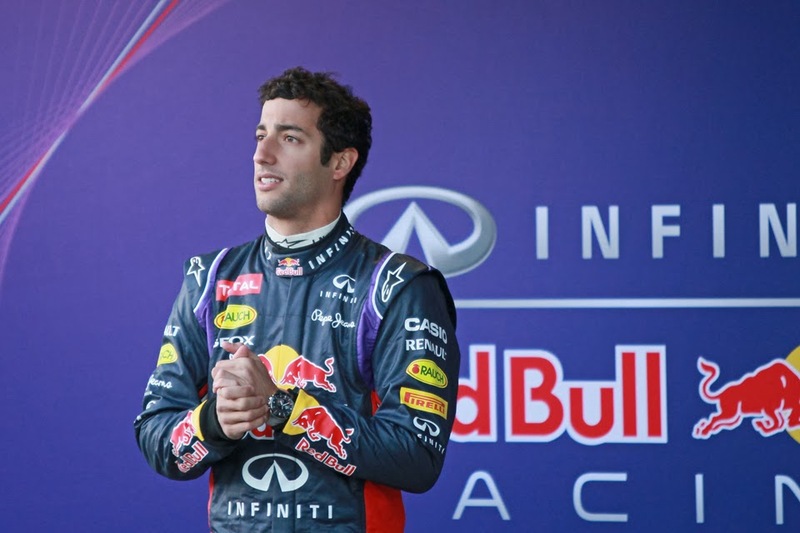 Many smiled knowingly when Daniel Ricciardo was confirmed as the one to occupy Mark Webber's vacated Red Bull chair for 2014. He was selected in the stead of Kimi Raikkonnen, a man whom was viewed as the front-runner for the drive for much of last summer, and many reckoned they knew the inference to draw: Ricciardo's a lackey; one picked so not to offer an intra-team challenge the haughty Sebastian Vettel. Scratch the surface however and such assumptions begin to look rather misguided: there are plenty of reasons to think that the ever-smiling Australian got the coveted gig for all the right reasons. For one thing, Red Bull has been able to monitor Ricciardo at close quarters, both via his work at 'B-team' Toro Rosso as well as within the big team itself, such as in no fewer than three young drivers' tests in addition to plenty of goes on their simulator. And herein Ricciardo has build up a pretty good case for himself. He's clearly very quick, particularly on a qualifying lap as demonstrated with a series of top ten - often well into the top ten - starting grid appearances in the middle of last season. Plus - with perfect timing - having been given access to a Red Bull in the young drivers' test last July his best time there was close to bang on Vettel's once fuel-corrected. Red Bull has also had the opportunity to assess Ricicardo qualitatively and here he also stacks up well: his attitude, level head, commitment to the task and willingness to learn are all rated highly. Add in that he's much easier on the wage bill than Kimi would have been as well as more willing to do PR tasks, and that one way or another his accession goes some way to justify the team's young drivers' programme as well as Toro Rosso (though as we've seen Red Bull clearly feels no obligation to promote from within) and Ricciardo's case for promotion starts to look irrefutable. In the debit column, many noted that last season in the races Ricciardo tended to sink down from his lofty starting slots, though the man himself (and plenty of others) reckoned that this merely reflected the STR8 returning to its rightful level, that he tended to outperform it in quali and it's harder to do that over a race distance. And whatever was the case many of his Sundays too, such as his run to P7 in China and holding off Fernando Alonso in India for the final point, were impressive. For a few reasons comments from Red Bull senior management sometimes these days are taken rather with a sprinkling of salt, but when Christian Horner claimed that in Daniel Ricciardo the team had picked the quickest driver available for the vacant ride, the best evidence is that he wasn't being disingenuous.